Michael McFadyen's Scuba Diving - MV Henri Bonneaud When Europeans were searching for the great south land, many explorers accidentally discovered other lands. Such is the case with Vanuatu, formerly known as the New Hebrides. In December 1605 the Portuguese explorer Pedros Fernandez de Quiros sighted and landed on a body of land that he named "Terra Australis del Espirito Santo" (Southern Land of the Holy Ghost). Now known as Espiritu Santo, the island has changed very little in the almost 400 years since. The changes that have occurred have been primarily as a result of the Second World War. One of these was the sinking of the SS President Coolidge in 1942. This has now meant that a large part of the local tourism industry has grown up around diving the Coolidge. But, as I have explained in previous articles, the Coolidge is not the only quality dive to be found in Santo. 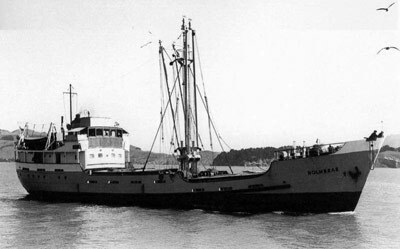 In 1951 a vessel called MV River City was built for The Wanganui Shipping Coompany Ltd of Wellington New Zealand by Schps De Hoop NV in Lobith, Holland. The vessel was 45.85 metres long with a breadth of 7.48 metres and a gross weight of 397 tons and was powered by a single six cylinder diesel engine driving a single prop. For the next 13 years or so, the River City plied its trade around the New Zealand coastline, mostly running between Wanganui, Lyttelton (Christchurch) and Timaru. The skipper was primarily Captain Jock Stewart. The River City did this till 1964 when it was sold to the Holm Shipping Company Ltd, also of Wellington. The Holm Shipping Company ran a series of coastal traders in New Zealand. The River City was renamed MV Holmbrae and it was planned to be used on the South Island and Plymouth routes. I believe that it may have run between Timaru, Lyttelton, Wellington and New Plymouth. It is also stated that when the service was extended to Raglan and Onehunga she was withdrawn as she had insufficient carrying capacity. They did not keep the vessel for long as it proved to be unsuitable for a shallow river port like Wanganui and the Holmbrae was too small for the planned service (one report says it was too big to use the main port it was planned to use). Another report says that the Holm Shipping Company also decided to move into general South Pacific shipping and away from coastal shipping. It was also reported that they were going to run tourist trips to Antartica. 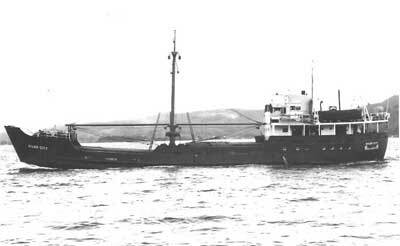 In 1966 the Holmbrae was purchased by Captain A. R. Rudsen and renamed MV Paul Markson (also reported as Paulmarkson). It appears he also purchased the MV Holmrea from Holm Shipping and the MV Konanda. 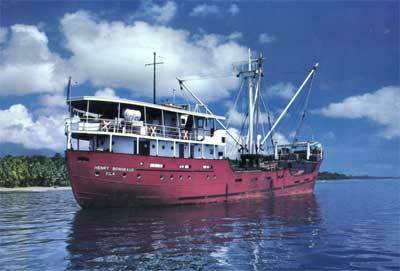 This latter ship can now be dived on the bed of Port Vila Harbour in Vanuatu. On 7 August 1966 the Paul Markson was sent to Bass Strait (between Tasmania and Victoria) for geophysical work, presumably on the then developing Bass Strait oil fields. Sometime after this she moved to Port Vila. For the next three years or so it was used around the islands of Vanuatu until sometime in 1969 when it was sold to Comptoirs Francais des Nouvelles-Hebrides, also of Port Vila and renamed MV Henri Bonneaud. I presume that the ship was named after Henri Bonneaud, President of the General Council (Conseil General) of New Caledonia from 15 Nov 1947 till some time in 1952. The Bonneaud continued to trade around the many islands of Vanuatu for more than 16 years. 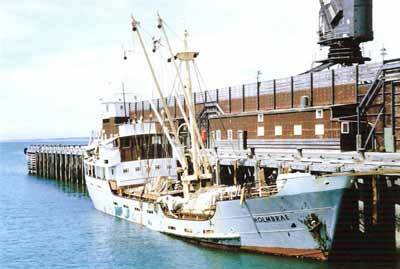 The vessel was last registered in 1985-86 and about this time was unable to pass survey. In late 1989 the proprietor of Aquamarine Diving, Kevin Green, purchased the Henri Bonneaud. On 19 December 1989, he sank the ship only a few hundred metres from the main beach of Bokissa Island Resort where he was running the dive operation. More by luck than design, the scuttled wreck landed on its keel in 40 to 45 metres of water. After more than six years, the wreck has gained a considerable amount of marine growth and the resultant fishlife. On the two times I have dived it, there has been 30 and 45 metres visibility. Kevin usually anchored near the bridge area. 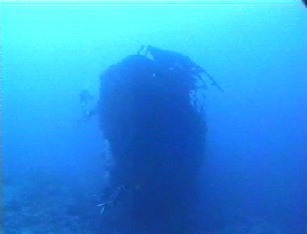 After reaching the bottom you can drop over the (shallower) starboard side and swim about 20 metres off the wreck. Looking back at the ship you can see the whole wreck laid out in front of you. From here, swim along the starboard hull to the bow. There are some very nice gorgonias and sponges that make ideal photos. Swim out 20 metres in front of the bow onto the sand. This view of the ship, seemingly steaming towards you, is a sight that will stay with you for a long while. Ascend to the deck of the bow and examine the front crew cabins which you can enter through two separate doors. It is a bit tight for more than two divers at a time, but check out the bunks and galley. Drop into the forward hold and swim towards the stern. Below the bridge in the rear hold, you can easily access the engine room, although it is a bit cramped finding your way around the huge diesel motor. The engine is intact, with gauges, valves and other equipment still visible. A series of ladders lead up out of the engine room and makes a different, if somewhat tight, way to return to the outside of the vessel. The bridge and crew quarters can be seen in this area before you swim out one of the many doors or windows. If you have time, drop over the stern where you can see the propeller, already covered with dozens of feather stars after only a few years. This makes a colourful and interesting photograph. 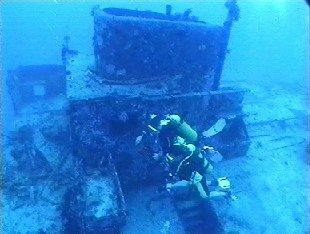 Due to the nature of the wreck, this really is multi-level diving and a dive computer will come in very handy. You do not need a guide for this dive. An excellent dive, one worth doing even though you might have to give up a dive on the Coolidge. Note: Underwater photos from Hi8 Video.